Why can't bad guys pick a nice bed and breakfast for their secret lair? During the cold wintry months of the year, one of my favorite activities is to stay inside, put on a warm sweater and...pretend that I'm really, really cold. 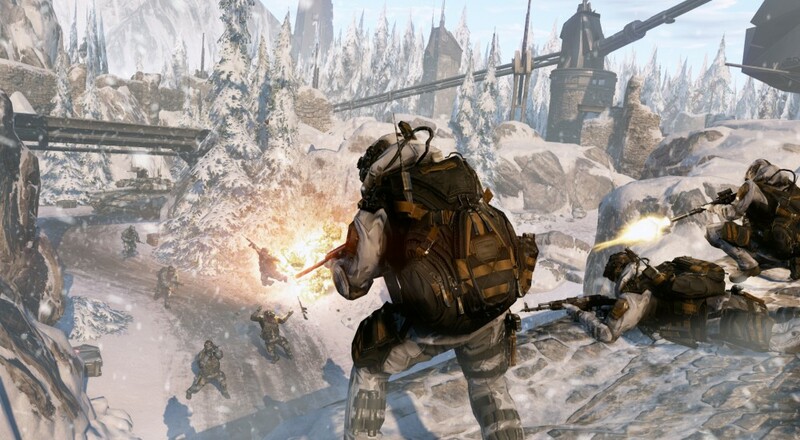 The latest update to Warface, Crytek's free-to-play multiplayer shooter, takes players to the oft-contended land of Siberia, meaning my dream survives yet another year! This time, I might even occasionally dunk myself in ice water. You know, really submerse myself in the world. In the new patch, five-member squads must battle their way past the Blackwood menace in the Altai Mountains, an area known for containing a UNESCO World Heritage Site, being home to the Siberian musk deer, and apparently having world's highest evil base per capita rate. Seriously, you can't throw a flashbang in there without blinding at least three PMC henchmen. Teamwork will be paramount to a successful mission due to the myriad of environmental hazards that accompany your standard everyday hazards, like being shot a whole bunch. One of the major complications, randomly occurring blizzards, will serve to disorient you and potentially separate your squadmates from the group. Luckily, Crytek has teased more "defensive options" for players in order to give them a fighting chance in this icy setting. They'll no doubt need the extra defense as they face off against powerful bosses across the three sequential Siberian missions. Honestly, though, what self-respecting bad guy puts one of his lairs in Siberia anymore? For one, it's played out; the admittedly large region east of Russia must be the very first thing government agencies scan when they're on the hunt for a secret base. Two, morale has to be comically low for soldiers forced to guard a base whose average temperature can be described as "frozen hellscape". If it were me, I'd get a clandestine operation going in Belgium. Nothing bad ever happens in Belgium. Page created in 0.2899 seconds.